Moody's Investors Service believes robust economic statistics will also help determine the extent to which an economic recovery is occurring on the island, as evidenced by recent bank earnings. Moody’s says the decision to file under Title III of PROMESA and to restructure PREPA’s debt in a municipal bankruptcy-like proceeding is a material negative development for PREPA creditors. Moody’s Investors Service’s July 6 downgrade of the Puerto Rico Electric Power Authority’s credit rating to from Caa3 to Ca reflects “the increased uncertainty that now exists regarding the outcome and the timing of a future debt restructuring plan for PREPA, which in the end will lower bondholder recoveries. The Ca rating applies to the ratings on PREPA’s uninsured bonds and the underlying ratings on PREPA’s insured bonds, which benefit from insurance coverage, the ratings agency said in a credit update report released Wednesday. PREPA’s default on its payment of principal and interest on its uninsured debt due July 3. “While the old Caa3 rating connotes a 65 percent to 80 percent expected recovery for bondholders, the new Ca rating projects a 35 percent to 65 percent bondholder recovery,” said David Jacobson, vice president of communications, for Moody’s Investors Service Public Finance Group. “The negative outlook also means there continues to be downward pressure on the rating if we believe the prospects for bondholder recovery worsen. A downgrade to C would mean we expect bondholder recoveries to be less than 35 percent. C is Moody’s lowest rating,” he said. The terms of any restructuring under Title III of the Puerto Rico Oversight, Management and Economic Stability Act of 2016 are uncertain at this stage, Moody’s said. “It will also take longer to work out and will place PREPA alongside Puerto Rico’s court-supervised bankruptcies, where a judge will decide on competing creditor claims,” Jacobson said. “The process will unfold in the untested legal framework of PROMESA and may pose complex legal issues and challenges that may take time to resolve. Moreover, because of the overlapping relationships that creditors may have at PREPA and at other Puerto Rican entities, each case will have its own set of complexities that will impact the timing for resolution at PREPA,” he added. 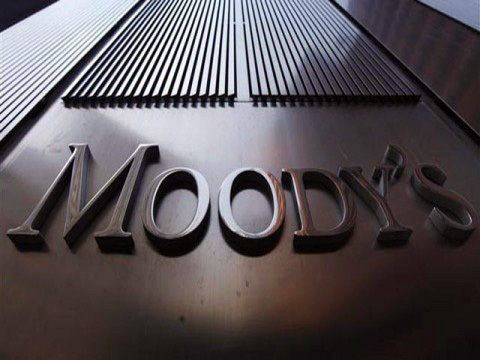 Delays in reaching a comprehensive debt restructuring will worsen recovery prospects for creditors now that a payment default has occurred, Moody’s noted. On the litigation front, two bond insurers, Assured Guaranty Ltd. and MBIA’s National Public Finance Guarantee Corp. have already sued the PROMESA Oversight Board for not approving the RSA. Hey Buddy!, I found this information for you: "Moody’s: PREPA’s Ca rating reflects ‘uncertain recovery’". Here is the website link: https://newsismybusiness.com/reflects-uncertain-recovery/. Thank you.